Why Have So Many People Decided They Hate Divergent? Maybe it’s because fans are burned out on YA adaptations. Maybe it’s because they’re sick of seeing teenage protagonists trying to upend society. Maybe they’re just not buying into Shailene Woodley. I don’t know what it is, but based on everything I’ve seen so far, it’s time to admit the obvious. 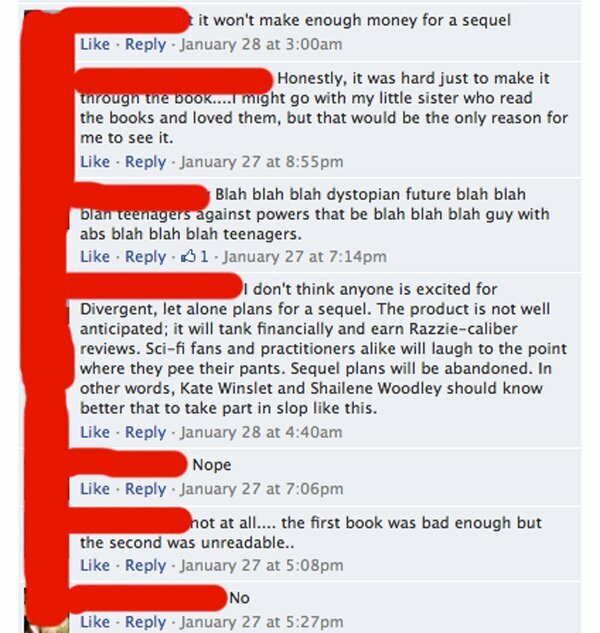 A lot of people really, really hate Divergent. If it was a politician, we would be talking about its historically low approval ratings. Based on a hit young adult novel and boasting a cast filled with rising young stars and seasoned supporting players, Divergent forecasts like a giant hit. In theory, it should open to really big business when it hits theaters on March 21st, but oddly, there’s just something about it that doesn’t seem to be registering with the general public. How do I put it delicately? A lot of people have decided it looks terrible. Let’s plow into a mountain of anecdotal evidence. Even worse, a conspiracy theory could easily be floated that the studio has soured on the movie, as well. Franchises often hire a seasoned director to work on the sequels in order to elevate the quality with each new installment. That’s why Twilight, for example, turned the franchise over to Bill Condon. Summit Entertainment, however, just announced the director for round two, and it’s Robert Schwentke, as in the Robert Schwentke who just directed the critical and commercial failure RIPD. Maybe they’re really big Red fans. Maybe they’re seeing something we’re not. Or maybe he came cheap, and they’re not even positive there will be a second installment. Because of the deluge of negativity surrounding it. 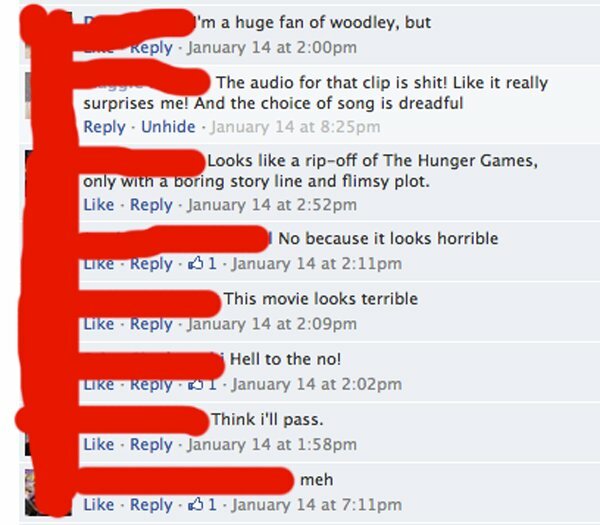 It’s impossible to know what percentage of movie fans actually hate Divergent. With more than seven million trailer views in the past three months, the answer is clearly not everyone. But my God, it really seems to be everyone. It's not weird for people to express apprehension or annoyance with future projects, but the Divergent hate really seems to go a step further. It's as if people are in love with hating this film. How Do You Feel About Divergent?